When we think of Feminism, we think of equity and inclusiveness for everyone--no matter their race, ethnicity, sexual orientation, and gender. But what about disability? Growing up as a Cuban and Puerto Rican woman who is also disabled, I always knew that while people remembered and included my other identities, they would forget my disability. As time has gone on, as I was discovering where I belonged in women-centered spaces and Latinx spaces, I began to realize I had to assert the disability into the conversation. The first time I began to fully realize the need for disability in feminist spaces was at the Women’s March Los Angeles in 2017. When the march was announced, I had only begun living in Los Angeles for around six months. I was excited to participate and stand up for my rights as a disabled woman; surrounded by people who held similar beliefs as my own. I also felt it would be beneficial to surround myself with people trying to process our newly “elected” “president.” I was filled with excitement the morning of the march, but little did I know how unsafe that march would make myself and my other disabled friend who also attended. The morning of the march I began to walk towards Pershing Square Plaza to meet up with my friend. Thankfully, the travel was not far from me since I lived in Downtown Los Angeles and was only a few blocks away. When I arrived at the location, I immediately became overwhelmed with how jam-packed the streets and sidewalks were--to the point where you did not know where the sidewalk ended, and the roads began. At that time, I decided against using my mobility aid, a cane, to get around because of how packed it was and my 5’0 stature. I knew my cane would have been accidentally kicked. After being stuck in the crowd for an hour, I was finally able to find my friend who was also having an issue getting through the mass of people with her wheelchair. Before the march officially began, we were curious about which route would be the most accessible to take once the actual marching started, but did not overthink on it; assuming the Women’s March organization made sure to think about accessibility for disabled participants when planning the march. We soon realized how wrong we were. When the demonstration started, speakers were standing far away on high platforms where it was difficult to see the sign language interpreter. I do not rely on an interpreter personally, but I am aware that every event needs one in case there is someone that needs it. I was surprised, however, that organizers did not set up large screens displaying the interpreter more clearly. After all the speakers had concluded with their speeches, it was time to “march.” For my friend and I, we were thrust in a dangerous situation. Because of how packed the march was, it was impossible for my friend and I to move. We found ourselves being given dirty looks when we asked people to make way for my friend’s wheelchair. We tried asking security we if there was an accessible route, and they looked at us with the same faces of confusion we had. Although some kind people helped us through the crowd, there were others who “helped” by making us a spectacle; cheering us for “pushing through,” or treating us as childlike, almost fragile. A lot of it felt rather performative from some of those demonstrators who thought they were “helping.” We did not make it far into the march before deciding to go home. We were already emotionally and physically exhausted thanks to the lack of accessibility. The Women’s March in Los Angeles was supposed to be inclusive for everyone, but in reality, it severely lacked accessibility. After “attending” I discovered online that they never hired or even consulted with any disabled activists to help map out accessible routes and how to make the march experience more disability friendly. The march felt more catered to women who were white and abled instead of the “inclusiveness” they committed to. It was sad to experience, and as the years have gone on with the march, I continue to see the lack of disability inclusion. At this point, it does not seem they have forgotten, but intentional. There are plenty of disabled activists all over the country that want to help out with the march, and I hope they start including us in their activism. I do not know if I would ever participate again in the Women’s March until I see they can keep myself and my community safe and welcomed. 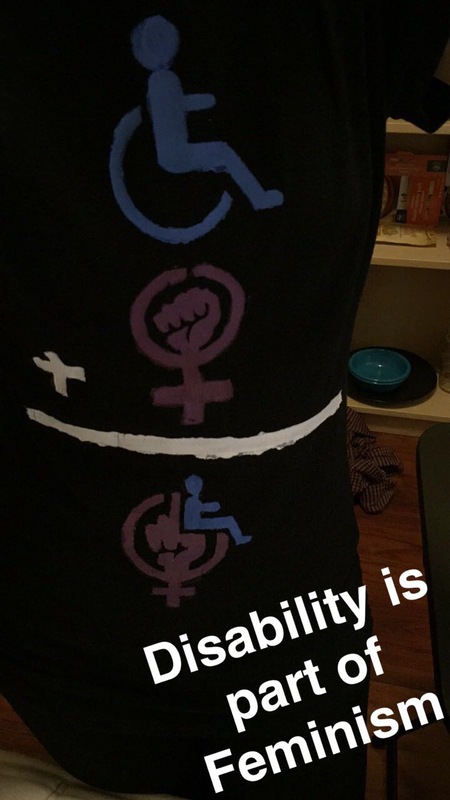 After all, there is no feminism, activism, or equal rights if you do not include disabled lives as well! 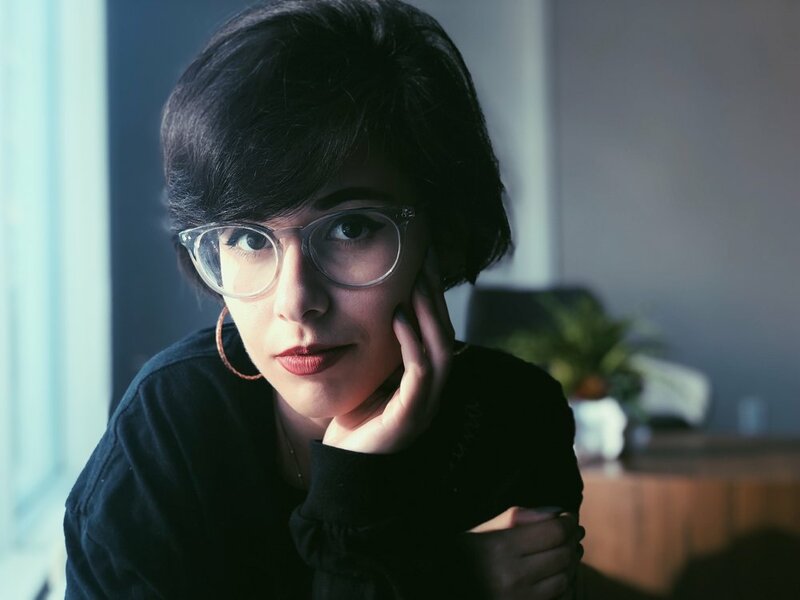 Andrea Lausell, based in Los Angeles, California is a Disabled CubaRican who creates digital content on Disability Rights, Latinidad, Spina Bifida and much more.